Do you have a smart phone? Do you send text messages? 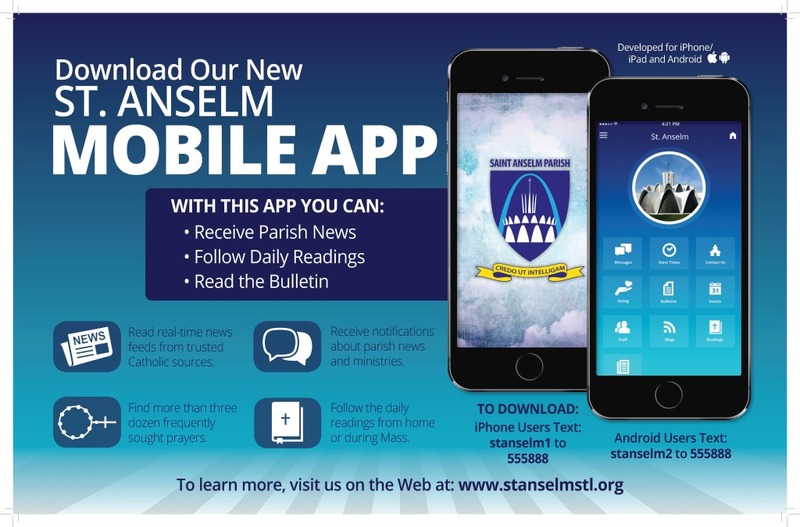 St. Anselm now has a free mobile app. 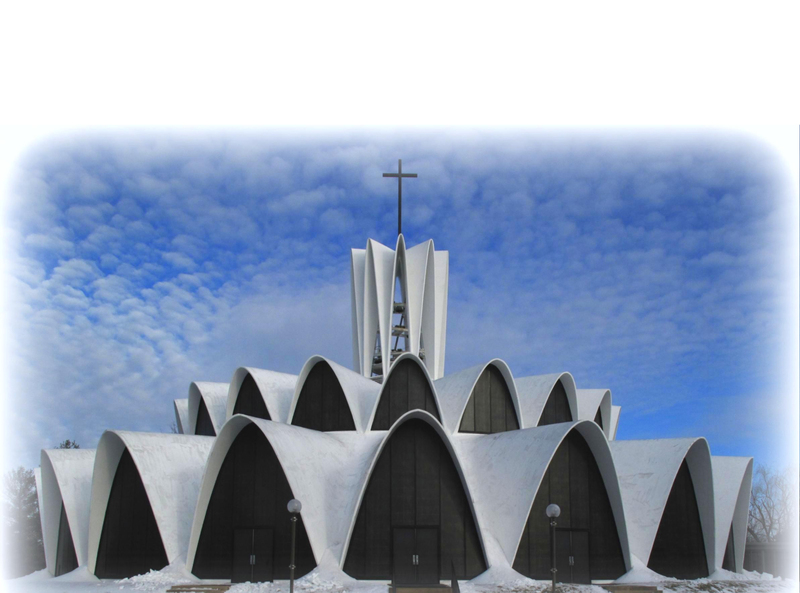 When you download the app to your phone, you have access to our website, the Parish calendar, Mass times, daily readings, common Catholic prayers, the Archdiocese, and the STL Review; you can also download bulletins and contact staff members via phone or email. Plus, you can sign up for notifications to special interest groups such as meeting and event reminders and cancellations. Instructions to download are in the bulletin and on the website. The app is free. iPhone users may be asked for their password and to update their app store iTunes information if the credit information is not up to date. Complete the information requested to download the iPhone app.